Thankfully we’re increasingly seeing vegan beauty companies taking on the cruel big name brands like Revlon, Benefit, Avon, Estée Lauder and others, who all test on animals, as well as using animal-derived ingredients such as carmine, lanolin and beeswax in their products. Here are our top six cruelty-free companies who are making waves in an ocean of competition for their sleek style, forward-facing formulas and kind-natured souls. According to the founder of this organic, vegan, natural and ethical skin care company, we often consider how the foods we eat impact upon our health, but did you know that 60% of what you put on your skin is absorbed into your body and therefore into the blood stream? It’s certainly food for thought! Luckily, Heavenly Organics have you covered. Many of their products contain as few as three ingredients and their product range is diverse. From block bars of shampoo and deodorant powder, to gift sets and facial scrubs, this is a company who are not only careful about using organic and ethical ingredients (avoiding things such as petroleum, which is cheap to acquire, but harmful to the planet and human health), but who are also passionate about reducing waste packaging. 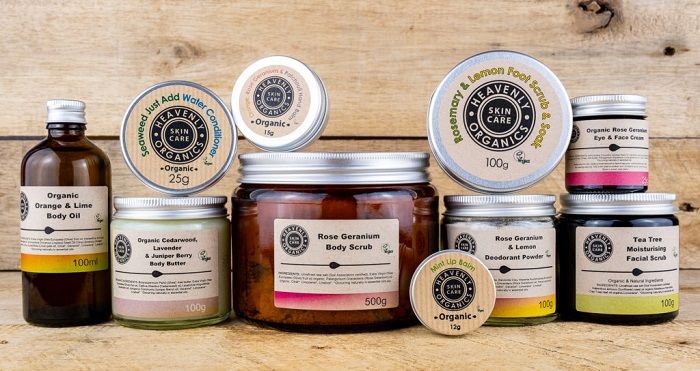 Heavenly Organics do not use any plastic packaging, offer refills in compostable bags where possible and when not possible, a discount if you return your jar or bottle to them to be refilled. PHB is your one-stop shop for all things vegan and cruelty-free in the world of body and hair care. The company is British and family owned, with an extensive range of award-winning, ethical beauty products. The site claims it is home to the world’s largest range of natural, vegan, cruelty-free, alcohol and palm oil-free products. The company’s own skin, hair and body care products are handmade in the UK and as a useful touch, you can search on their website by skin ‘concern’, such as: eczema, anti-ageing or sensitive skin. Tropic Skincare is an all-vegan skin care brand that has won countless awards in the short time they’ve been in business. Founded by Susie Ma, and backed by Lord Alan Sugar, this beauty company is one of the fastest growing in the UK. As a massive Tropic fan I can personally vouch for products such as: Super Greens Nutrient Boost Serum, Good Skin Resurfacing Serum and the LipFudge Collection. An added bonus with Tropic is that as well as their products being 100% vegan and cruelty-free, you can become a Tropic Ambassador, meaning that you can sell their products from the comfort of your own home and make an extra income, all while supporting a skin care company with ethical and honourable morals. Corpore Sanctum was founded in 2017 when vegan brothers Ross and Ryan decided to create their own twist on the popular Korean ‘K Beauty’ brand to cater for their preference of using vegan and organic skin care products. Their products are as funkily packaged as they are kind, with the added bonus of 5% of all sales being donated to Animal Aid. Whether you opt for Acia and Goji Berry Cleanser, shaped like a matt black skull, Happy Mask with Hyaluronic Acid and Green Tea, shaped like a Play Doh Pot, or Barefaced Healing Oil, shaped, of course, as a metallic purple bear, you’ll love this company’s innovatively packaged products which utilise the latest ingredients in skin care. Pacifica uses the strap line ‘The Natural Beauty Revolution’ and the company is 100% vegan, cruelty-free and their innovative natural beauty products are award-winning. Their range is extensive, from Kale Detox Deep Cleansing Facial Wash, Coconut and Caffeine Facial Mask and Dreamy Youth Day and Night Facial Cream, to Dream Big Lash Extending 7-1 Mascara and stunningly scented Island Vanilla perfume, which is phthalate-free (a toxic preservative used in many PVC based commercial products). This company really covers all bases and then some! Whilst Pacifica is a US-based company, you can buy their products in the UK at Holland & Barrett, Whole Foods (in London and online), and online at Feelunique.com, iHerb.com and naturisimo.com. If you have any recommendations for vegan skin care brands, do let us know in the comments! You can also check out this article for further information and advice on how to find the best vegan face moisturiser for your skin type. Hi, you can check us out too – we are certified cruelty free and registered with the Vegan Society – all our products are 100% plant based and hand blended in house for freshness.